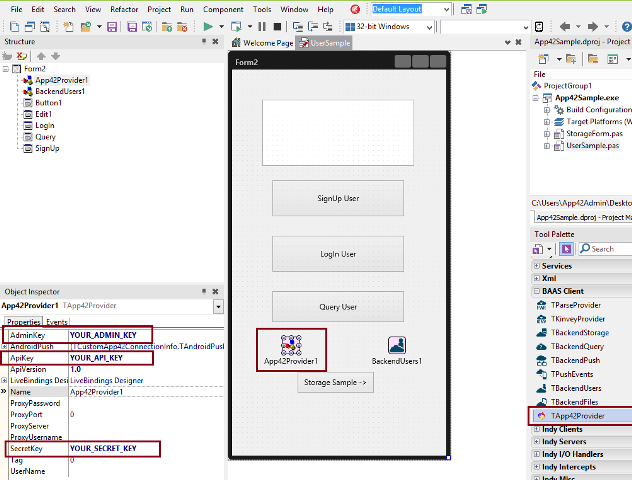 If you are already registered, login to AppHQ console and create an app from App Manager -> App Create. Give default ACL permission, for example PUBLIC/READ or PUBLIC/WRITE or PUBLIC/ALL. Once App is created, you will get an ApiKey/SecretKey along with AdminKey that you will use in your app for initialization of SDK. Copy *.dcu/dcp/bpl files available in the dist folder of downloaded zip to your Delphi Library Path See here for details. 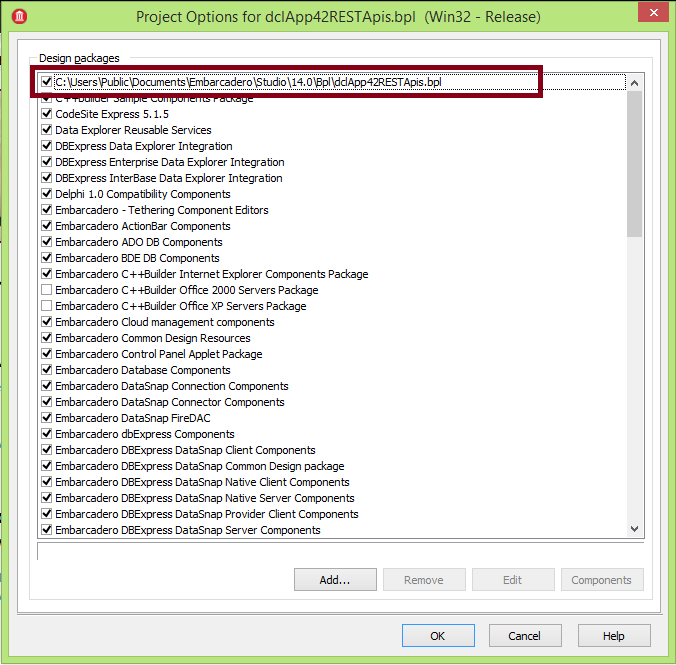 Click the “Add..” button, now you have to navigate to dist/bpl folder of unzipped file where the Package Library file dclApp42RESTApis.bpl is available and then click the ‘Open’ button to add the component package to the IDE. Now the TApp42Provider component is added in BaaS Client category in Tool Pallete. Drag and Drop the TApp42Provider component in design view of App. Click on App42Provider1, now you can see the Properties and events in Object Inspector. Set the property ApiKey/SecretKey/AdminKey that you have received while creating the App(in AppHQ console) in Object Inspector. Now you are ready to use App42 services in your project. You can also build and run AppMethod Sample available under sample folder of unzipped folder to get started quickly. Once you are done with the above steps, you have to select the provider as App42Provider1 and select the backend service component that you want to use i.e TBackendUsers, TPushEvents, etc.